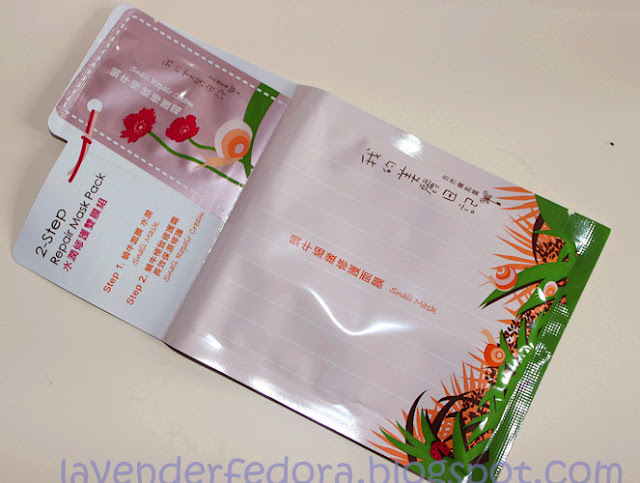 Lavender Fedora: The Beauty Battle: My Beauty Diaries Mask- regular or 2-step? 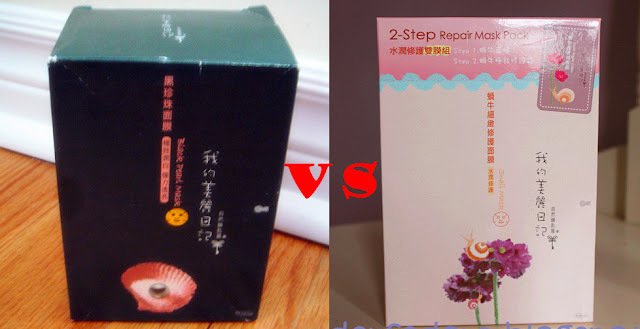 The Beauty Battle: My Beauty Diaries Mask- regular or 2-step? I already gave you my overall opinion towards the two types of masks MBD has. First, let’s talk about the ones I don’t particularly enjoy. Don’t get me wrong, this mask has received a lot of praise and I know many people who love this. But unfortunately, I think otherwise. 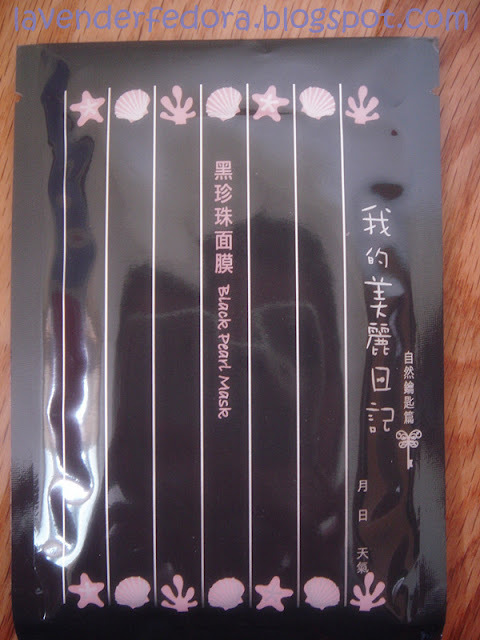 The regular mask I've tried is their Black Pearl Mask. I've always heard of the benefit pearls provide to your skin and this mask is supposed to lighten and brighten your skin while hydrate it at the same time. When I first took out the mask from its packaging, I was really impressed by how much serum it was soaked in and thought the mask would definitely do wonder at hydrating my skin. But don’t be deceived by how it feels on your skin first! It is definitely saturated with the so-called serum. However, after 15 to 20 minutes, the serum was still just sitting on my skin. It didn't penetrate my skin and boost the moisture level. It had a very slippery feel to the touch and after about 15 masks, my skin didn't feel more moisturized nor brightened. Then we have our 2-step MBD mask--- repair snail mask pack. I know, it sounds so scary. Snail?!! But supposedly, snail slime is wonderful for adding moisture to your skin and is the key ingredient to many Korean BB Creams. I didn't have too much expectation for this mask due to my previous experience. But oh lord!! I was so pleasantly surprised! So yeah, these are my opinions towards the two types of masks MYD has. I would totally recommend the 2-step repair pack. As for their regular ones, I've never tried any others kinds other than the black pearl but I don’t think I would ever try it.